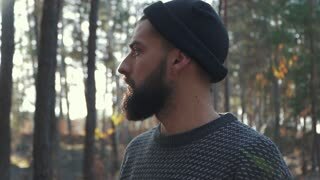 Bearded man in the forest looking far ahead. A man with an ax standing on a cliff. 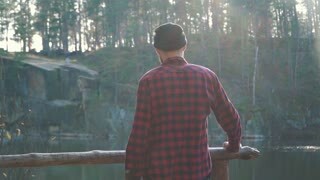 Bearded man stand in the forest near lake and whatching an amazing view. A man with an ax. Bearded man with an axe walk in forest. Unshaven forester with an ax outdoors. Yung man stand on the hill with ax and view an amazing lake and forest. A man with an ax standing on a cliff. 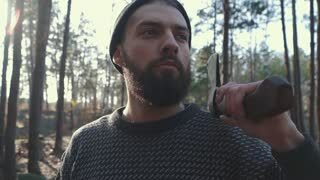 Bearded man sit in the forest and looking at ax if its sharp. Brutal man sitting with an ax outdoors. Brutal bearded man with an axe on his shoulder looking far ahead. Unshaven guy with an ax in the forest. Bearded man in the forest looking far ahead. Brutal unshaven guy in the forest. 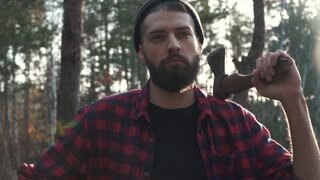 Bearded guy standing in the forest puts an ax on his shoulder. Handsome brutal unshaven guy with an ax in the forest. Bearded man with an axe on his shoulder looking far ahead. Brutal unshaven guy with an ax in the forest. 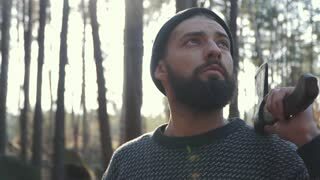 Young bearded man with an axe walk in forest. Unshaven forester with an ax outdoors. 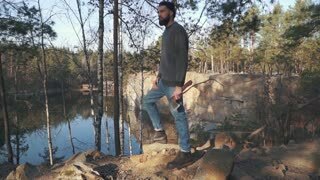 Bearded man with an axe stand in the forest near lake and whatching an amazing view. A man with an ax.